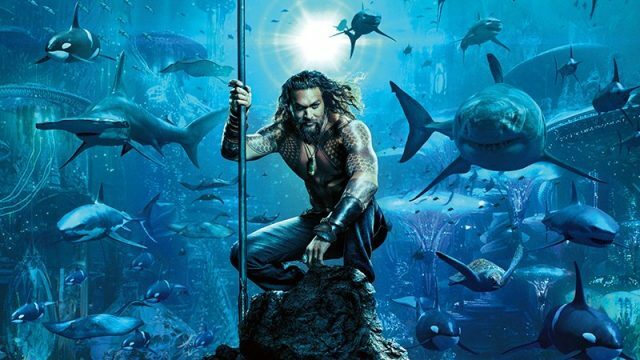 “Obviously, certain elements have already been established from Justice League, but I’m really coming into this making my own movie,” James Wan asserted upon inviting a small group of film press into an edit bay visit of Aquaman. The Warner Bros. and DC film opens in just a few months and was in the thick of post when ComingSoon.net sat down with director James Wan at his production office to talk about the SDCC extended trailer and get a sneak peek at a handful of scenes. What we got to see showed the film starting to take its full shape. Nothing you’ve seen online could prepare you. Set pictures, choices seen from afar, teasers and early previews that have been a part of the conversation still just examine a film in process. And honestly, it’s been like the internet reacting to cookie dough not looking like cookies quite yet. 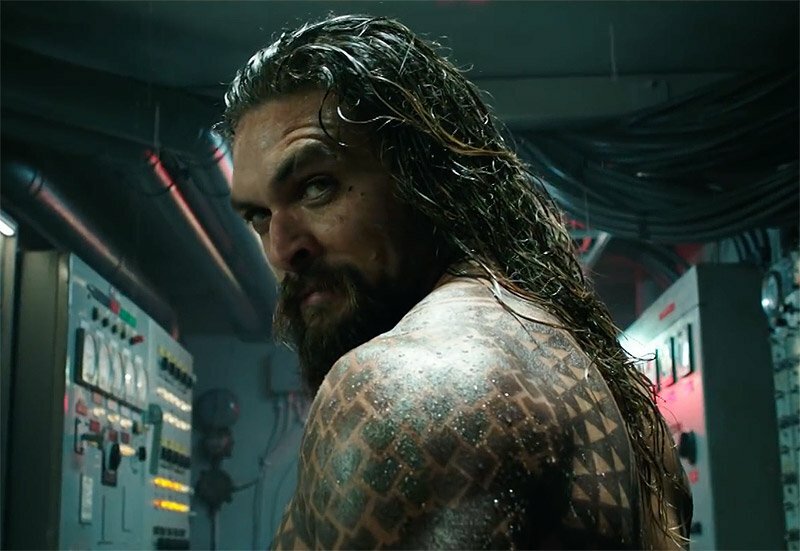 In the extended SDCC trailer, we heard a bit of Jason Momoa’s narration as Arthur telling his story, and the film’s opening goes into the unlikely romance between his parents as told by the son of land and sea. The narration feels reminiscent of the storytelling method in The Princess Bride–a film that has action, adventure and is rooted in the romance. We see the storm that led to Atlanna (Nicole Kidman) being found by Thomas Curry (Temuera Morrison) and how their love grew from being curious about one another. Seeing Nicole play a fierce sea Queen who tries to figure out the human world was delightful, even when she tries to eat Thomas’ fish and he jokingly reacts by asking her to not eat his cat. The playful chemistry between her and Morrison is immediately endearing. It’s so pure. “My whole movie is sort of built around how Arthur feels. And I know we live in a much more cynical world today, but I still think we can bring a lot of that back and deep down I’m such a romantic and I love that just the very sort of sweet, romantic nature of how Mom and Dad both people are from such different worlds, but it didn’t matter. Like the love for each other bring them together and through that, through their love you get Arthur Curry, you get Aquaman, right? I wanted a superhero very much shaped by the love that Mom and Dad had. And it’s also what kind of makes him a bit bitter, because what happened to them.” Wan explained as we also got to see an action-packed clip of the Atlanteans apprehending Atlanna in an amazing one-shot action sequence where Kidman becomes an instant heroic icon because she doesn’t go down without a fight to protect her child. Also in those flashback scenes, there are some really cool easter eggs in the set dressing like a copy of the Dunwich Horror by HP Lovecraft (as a nod to the Cthulhu mythos and aquatic horror), a cute white seashell Motherbox and great use of a Jules Verne quote. “Put two ships in the open sea, without wind or tide, and, at last, they will come together.” – Jules Verne. Another sequence we were able to see was Arthur facing his brother for the crown of Atlantis in the first act. And his brother might not be playing fair. We also got to see Mera warning Arthur to not rush into the fight as the favor rests on Orm’s side. There are even fun stats of each competitor praising Orm while making fun of Arthur for being a human. The fight plays out like the first match with a big boss. Both fighters size each other up while zipping through the ocean with their weapons. 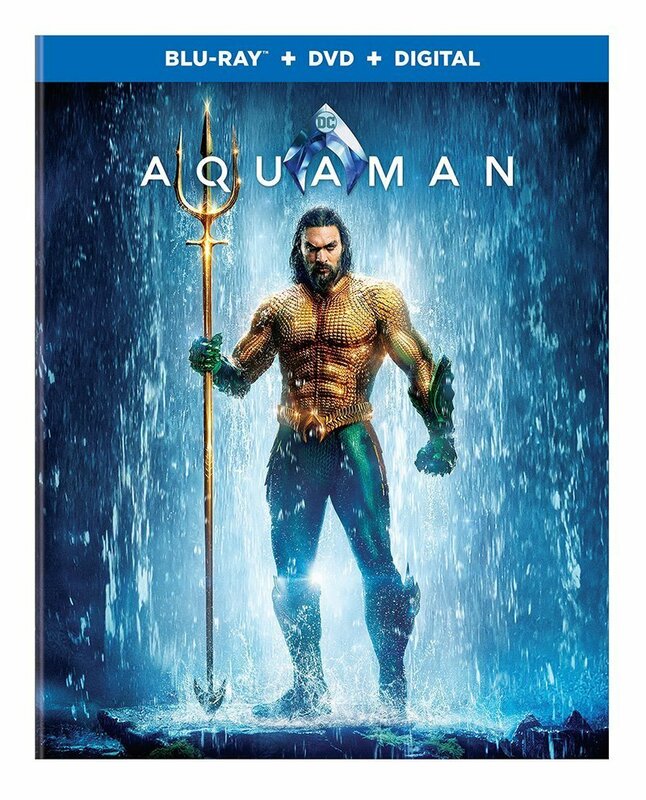 We see Aquaman wield the trident that was revealed as his mother’s in the opening and it getting broken in two.